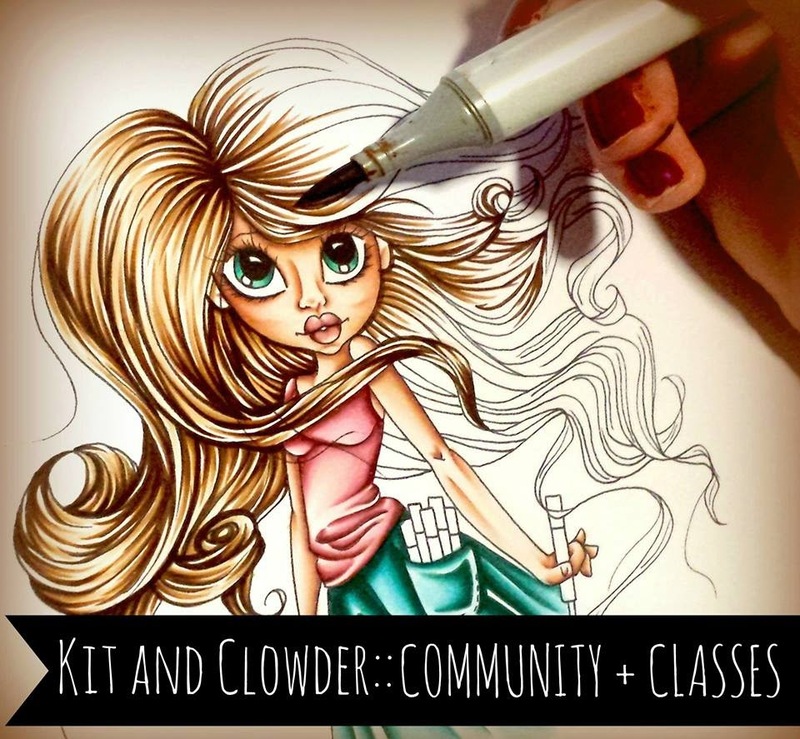 It is Wednesday, that means, sketch challenge over at The Outlawz. Supplies: Bazzill paper, Bo Bunny, Apple Cider Collection, inkdinkduo cling stamp, spellbinder die, unknown punch for leaves, queen & co bling. Morning Peeps, This week over at Tuesday Throwdown #122, we are to create projects, from Creations by AR, with the theme "Team Spirit. I chose to create this menu keeper and stand. It is football season, they are always having tailgating at the gate of the stadium. So take a look and join in on the fun. This week the Eclectic Ellapu Pink team is sharing some inspiration from our design memeber NanaConnie who whipped up a recipe for us. (2) pattern paper, digi/stamp and (3) embellishments. So come on over and play in our sandbox for this "anything goes" challenge. Helllo Peeps, Cards by Lady Anne, Sentimental Friday's sponsor is Guylou Inimitability , Guylou is giving a$10 gift certificate to the winner. So come on over and join in on the fun. This is "Anything Goes" monthly challenge. Below is one of the images at Guylou's online store. We look forward to seeing your creation. GIRLS ARE NOT CHEAP, BUT FOR THE NEXT 3 DAYS THEY ARE! 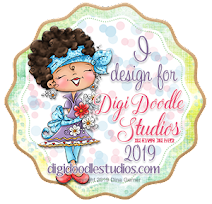 CUTIE PIES and DIVAS BY DESIGN 'girly' images in the store! As a DT member I can win a prize based on the number of sales referred by my blog! I'd love it if you assisted me! just below the Payment Methods. Thanks in advance and happy shopping!! I created my card from the Cutie Pies images, A Letter for You. Morning Peeps, this week Team B over at DS4J #53 was asked to create a masculine project. ANYTHING GOES! … but with a masculine twist bonus. Enter your projects (there’s a limit to 3 per crafter), for a chance to win a 3 images of your choice from the store. The BONUS is that if your papercraft project is suitable for a man, you will also go into a separate random draw for ANOTHER 3 images from the store! As usual, if you use a DS4J image on your project, you will get the chance to win a $10 voucher to spend in the store. Morning Peeps, Here we are again for the weekly Outlawz sketch challenge. Morning Peeps, Over at Tuesday Throwdown #120, we are to create from a photo inspiration using Sweet and Sassy digi. I chose the Morning Glory digi image. Supplies: scraps for paper, spellbinder oval die, heartfelt creations die, RRR, spectrum noir markers, queen & co bling. Morning Peeps, this week over at Jackson's Digital Expression, is CAS challenge. I love CAS design. However, this time, I got caught up in the design, which was to use 2 dies. So I took out Tim Holt's dies, tree, fence and embossing folder, distressed the embossing, used spectrum markers on the cute image, graphic 45 sentiment and stickles on the tree and fence. Hello Peeps, I guess you are wondering what is Crafty Card Gallery. Here is a little bio on this site blog. Crafty Card Gallery is an iPhone app (works on iPad and iPod Touch) that is now available for Android Phones. It is a card gallery for handmade cards. You can follow great designers,(I am on the Designer Team), and look for ideas. It's updated monthly so there's always new great content for you. For our first challenge, we were asked to create "What's on Your Desk". Well my desk is a mess, but had to clean it up due to the carpet being cleaned in the craft room. I had these cuts out on my desk to put this card together. So I decided to finish. The paper is scraps, pearls, some lace, embossing. Morning Peeps. This is Sunday, that means new release from ds4j. Today ds4j is releasing Turbin Trish. I colored her with Spectrum Noir markers, added MS punch, RRR, ric rac and queen & co bling. Morning Peeps, there is a new challenge blog up. Eclectic Ellapu and I am one of the Designers. This is a weekly with challenge themes, there are two teams alternating. So come on over and play in our sandbox. The Blog Hop has now closed. Thanks so much for everyone who visited and left a comment, I loved every comment! Please go to the DS4J blog to see the winners posted on Thursday 11th. 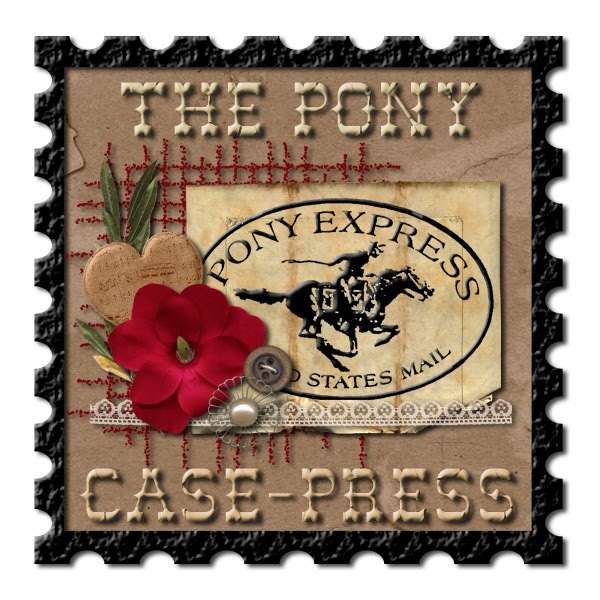 The winner from Digstamps4Joy blog hop on my blog hop Chasing the Dream is Yvonne Morentin. Congratulation Yvonne. 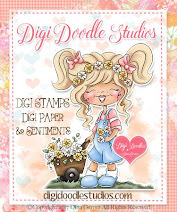 Please contact Margy at info@digistamps4joy.co.za for your free digi. Thanks again to all the followers. Yippee, we can announce the WINNERS of the Blog Hop! So, without further ado, here is the full list of winners per blog. The DT confirmed that they all used RANDOM.ORG to select their winners. Morning Peeps. This week our inspiration came from the below sketch. I in love with the My Mind Eyes Halloween paper, the cling stamp is from SU, rich cocoa ink, remibisce embellishments. 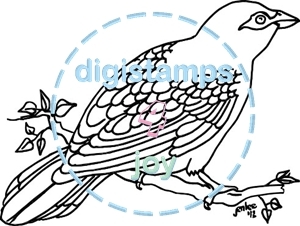 Morning Peeps, DigiStamps4Joy is releasing new images today. This cutie is Peakaboo. I colored him with spectrum noir markers, authentique paper, embossing folder, bling and verve cling sentiment and bakers twine. Digistamps4Joy is running a Blog Hop from 4 – 9 October 2012 to celebrate World Card Making Day on the 6th October. 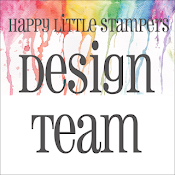 Digistamps 4 Joy is offering a prize to a randomly drawn winner on each Design Team member's blog stop on the hop. With 12 blogs in this hop you “could” win 12 different images! So come on in, meet our fabulous Design Team, and have some fun! If you landed on my page first, then just carry on down the list, and from the top again till you are back at my blog OR start at the top at the Digistamps4Joy blog, and work your way though to the final stop (Ursula’s blog). The hop order is indicated on each blog, so you will not ‘get lost’! DS4J is offering the prizes! There are 12 stops on the hop. Prize winners will be randomly drawn on each blog. The prize offered on each blog will be the image that the blogowner has used in her blog hop post. My prize image. Here is the card I am showcasing for the DS4J Blog Hop. 2. You must leave a comment. So that IS easy isn’t it!! Your next stop will be the talented Charlene. The Hop will end at 6 am (Central African Time) on Tuesday 9th October. The full list of winners will be announced on Thursday 11h October on the Digistamps4Joy blog. Each blog will also indicate its own winner on 11th October. This image is called "A spoonful of honey" and is from the JANEL range of rubber stamps from Country Crafts in South Africa, and is oh so cute! 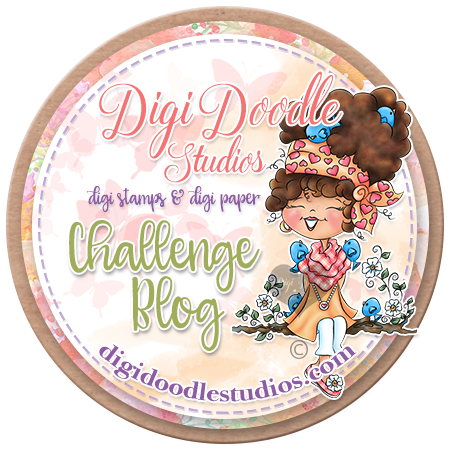 Morning Peeps, today, Digistamps4Joy is hosting a blog hop. This is the image, that I submitted for the hop, so join in on the hop and win some prizes. Please visit my blog hop post for details. Evening Peeps, this week the theme over at Word Art Wednesday #48 is Love. I used the scripture from Hebrew 13:5. Supplies: sixxiz embossing folder, prima flowers, RRR, Just Rite cling and sentiment, spellbinder label die. Afternoon Peeps, This week over at CASology #13, our clue is Zoo. I used a Penguin stamp from Stamps for Life. Cute little guy, with his yellow feet. Afternoon Peeps, this week over over Dynamic Duos #22 the color is Cherry Cobbler and my choice for the 2nd color. I stamped in Cherry Cobbler and 2nd color is simply pink. supplies: MME, Indie Chic, Memories tag, cheery lyn die, bling. Morning Peeps, this week our inspiration came the below sketch. I had fun using the My Mind Eyes Halloween paper,doodlebug embellishments, stamping rich cocoa memento ink. The image is a freebie, from Marianne Walker. Click on her name and visit her blog for more inspiration.